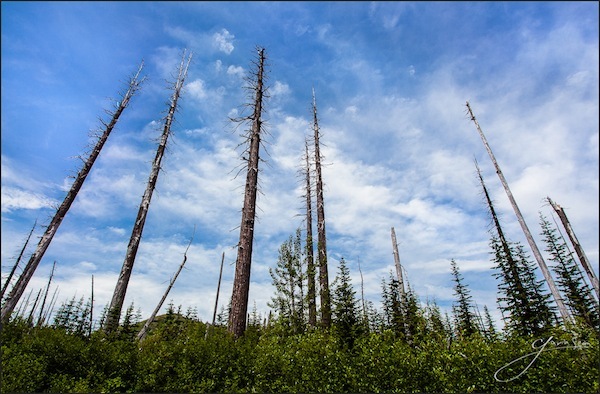 Even after fires and adversity, survivors can stand tall much like these trees. When new markets arise, there are always copycats that take an original idea and capitalize on it. Look at the second and fifth movers that are copying Square on merchant payments. They could have started much earlier on this concept, but Square simplified the process, worked with the thick bureaucracy of ACH authorities and implemented a technical software solution that the other guys are mimicking. The opportunists will invariably come in when there is a hot market to take advantage of what is proven. Look at the mobile authorized resellers that popped up everywhere. They set up shop quickly and when the products change or the business models change, they made cash, closed doors and reopened based on how the markets were moving. The entrepreneur that wants to truly build something that persists and makes an impact stands in stark contrast to the opportunist. Success comes from surviving. It’s a relevant metric when so many startups simply die off from undercapitalization or unresponsive markets. I applaud those that put their heart and mind into an idea and see it through with perseverance. It’s hard work to build something while keeping your guard up. It’s like the story of Nehemiah who commanded his people to rebuild the city of Jerusalem with a shovel in one hand and a sword in another. They had the extra burden of protecting themselves from their enemies while trying to build. It’s the brutal reality of the marketplace. You have to be smart enough to conceive of a great idea while being savvy enough to guard against the vultures. With so many forces working against any entrepreneur’s venture and dream, it’s a miracle that there is any staying power. The road is hard for sure in a sea of options and opportunities. The long view is to count survival as success. Each day you exist and keep going means you are not a statistic that had to close your doors. I salute you.